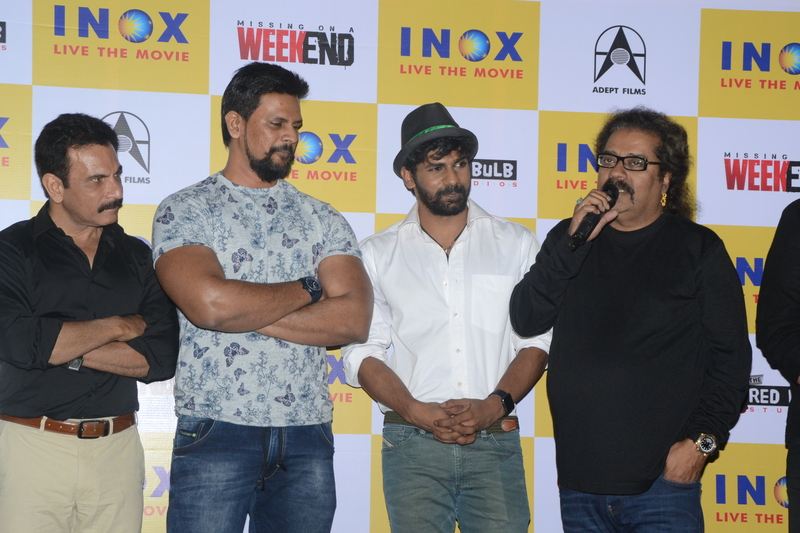 On 18th May, 2016, I was invited for the trailer launch of “Missing on a WEEKEND” at INOX, Inorbit, Malad. 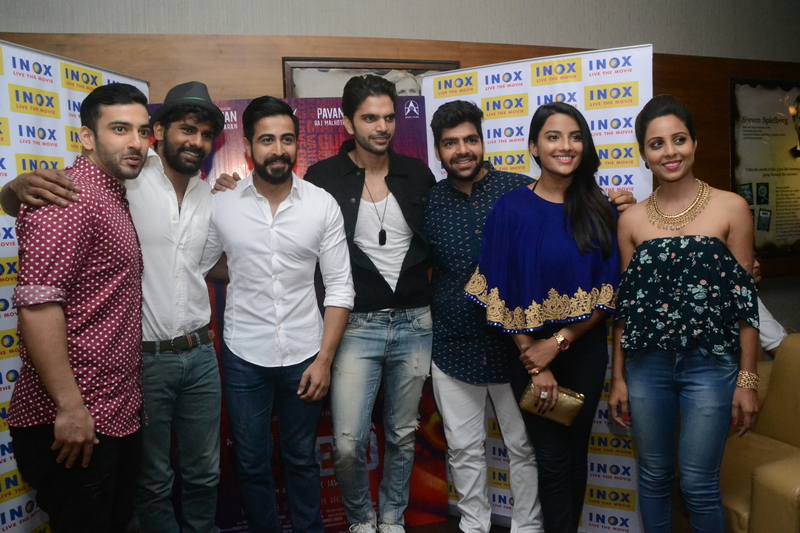 It is the first release of writer-director Abhishek Jawkar and is a Bollywood crime thriller, produced by The Red Bulb Studios & Adept Films, introducing KARAN HARIHARAN, son of legendary singer PADMASHREE Hariharan, and also starring Pavan Malhotra and Dishank Arora in a pivotal role of a top cop. 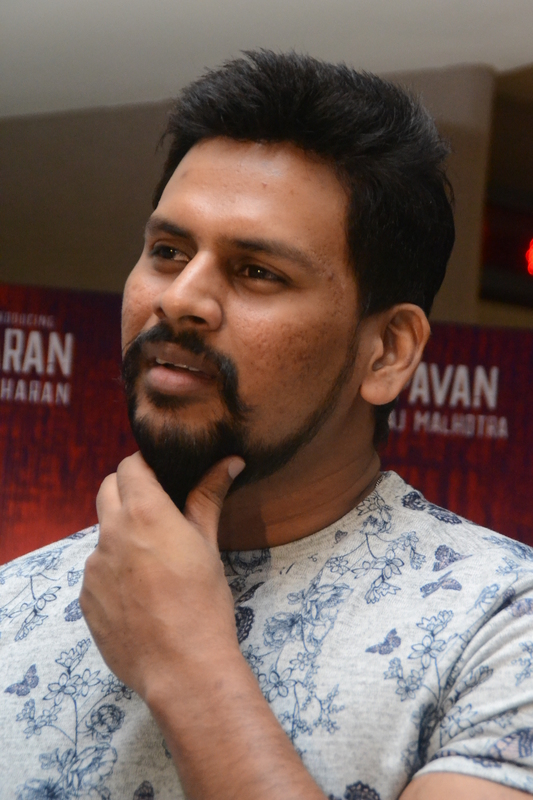 “Missing on a WEEKEND” has quite a few ‘firsts’ to its credit – this suspense thriller is producer Abhishek Jawkar’s first film who makes his foray into mainstream Hindi cinema as a Director after successful stints as a film distributor down south and having directed documentaries. Versatile singer Shaan along with his band SUPERBIA is slated to make a comeback as music composer with Weekend. He has captivated his fans and many a music connoisseur in the past with his lilting tunes and dulcet voice. Also the surprise element of the music pack will be ‘JABRA FAN’ Singer Nakash Aziz who makes his debut as music composer alongside Shaan. 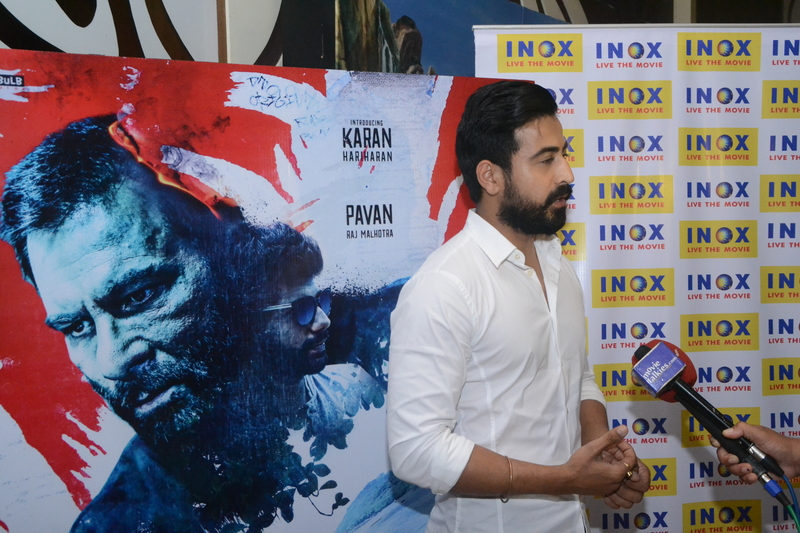 Nakash Aziz is also doing the background music of the film. Hariharan’s younger son Karan debuts as Laksh, the crucial character of this film who takes it forward with subtle nuances of his exemplary acting. Karan completed his acting course from Lee Strasberg Theatre & Film Institute, LA and is now all geared up to face and give his best in front of the camera. Of course, the icing on the cake is the ingenious actor Pavan Malhotra, with lead roles in National Award winning films in the past, who will be seen investigating the twisted case of murder mystery in Missing on a WEEKEND. His immense depth and acting ability is sure to be lauded for a long time to come. In an attempt to highlight the recent crime scenes that have tarnished the safety factor of holidaying in India’s tourism capital, Goa, the movie promises to nudge viewers on an exciting spree. Versatile actor Pavan Malhotra essays the role of a top cop from CBI to investigate the case of a group of friends partying away the weekend in Goa. Laksh is found unconscious in Calangute beach and has lost his memory due to brutal head injury, one friend is found dead in a room and the other friends go missing. What’s in store for the viewers? Missing on the WEEKEND will boggle the mind of the audience with queries of whether the sole survivor Laksh will be attacked again? Will Ali Ansari find the missing friends? Can the police stop the underworld mafia in the beautiful tourist capital of India. Watch out for this 48 hours of investigation thriller to find out whether Goa is safe for tourists. Weekend is slated for a monsoon release. Are you looking forward for this movie release? Do you think Goa is safe for tourists? Do share your insights on the same in the comment section. Previous Previous post: All you need to know about The Rich’s Gourmet Guide 2016 Event!